Good Monday morning! I've had a crazy busy week, and even as this blog post goes up, I'm going to be busy AF at work working on a live campaign. Exciting times when you work in social media. 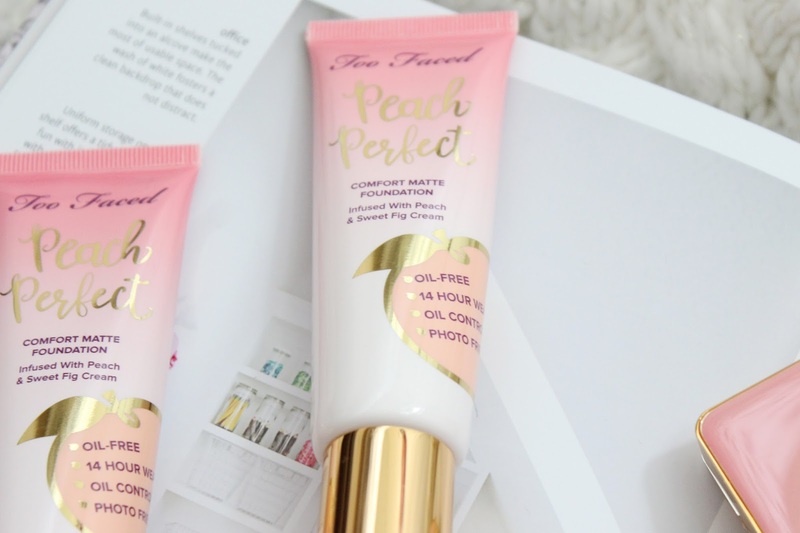 Because I've been so busy lately, I thought I would try out the Too Faced Peach Perfect foundation, which claims to be a comfort matte foundation that will keep you oil free for up to 14 hours. Let's see how it worked! Because daylights saving time ended, it's dark by the time I get home so I wasn't able to do before and after photos (well, I mean I could, but they would have looked kinda crappy with the lack of lighting so you'll just have to trust me). Unfortunately, both of these shades are too dark for me, but I can make porcelain work if I take it down my neck or wear a turtleneck with it (all the cheating). I love how this foundation feels. I generally only ever wear the Maybelline Fit Me Matte and Poreless, and while I can tell I'm wearing foundation when I have it on, I've become so used to the feeling. With this Too Faced foundation, it felt so lightweight, more like I was wearing a tinted moisturizer. In terms of longevity, I'd say it faired almost as well as my Maybelline favourite. I needed to blot about six to seven hours after application, which is great for my oily skin. Where I saw the most difference between the two foundations was how it faired post-blot. I found the Too Faced Peach Perfect broke down more after I blotted than the Maybelline one did, which is a bit annoying. It also clung a bit to breakouts around my chin, but most foundations do. I actually really like the look and feel of this foundation and think I'm going to pick up the lightest shade in the range and see if it works for me (fingers crossed). 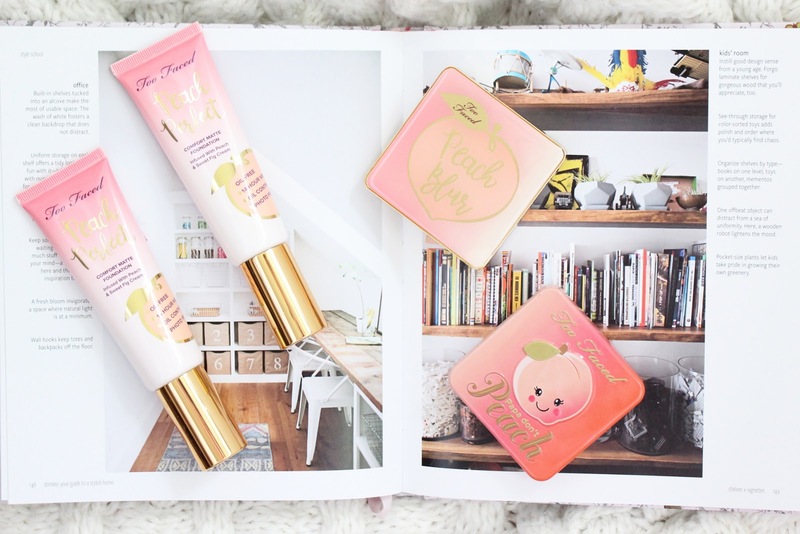 Other notable mentions include the Too Faced Peach Blur, which I've been loving! 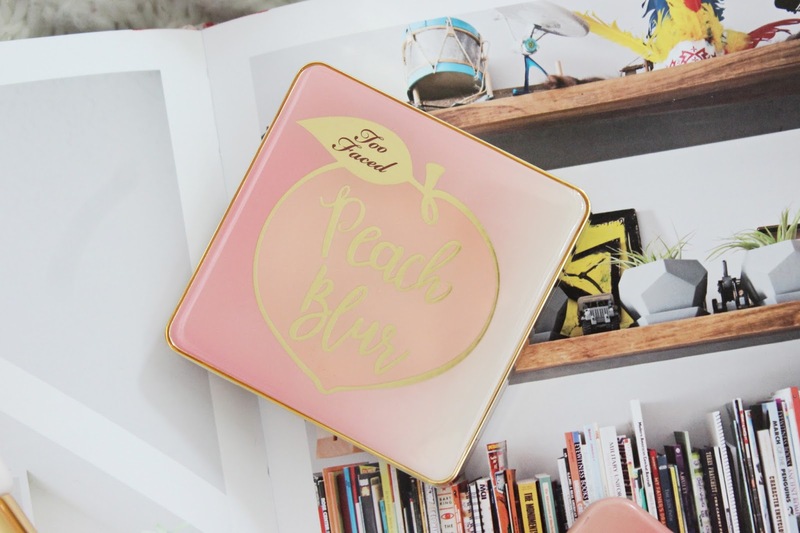 I bake my face with the Too Faced Primed and Poreless pressed powder every morning, then use this powder to wipe the excess off. It adds back a bit of dimension and glow to my otherwise flat face, without making me look greasy. I'm now using this over every base I wear and actually want to get a second for my on-the-go makeup bag. Excessive? Maybe. 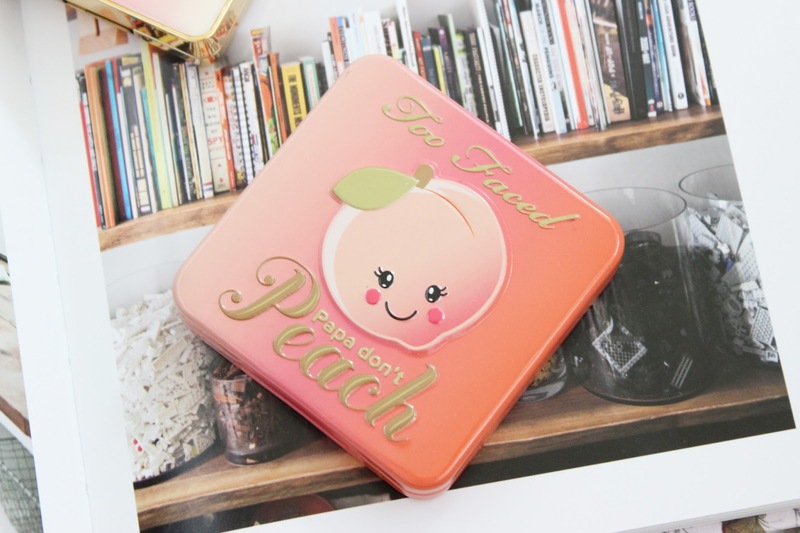 And last but not least is the Too Faced Papa Don't Peach blusher. I've been wearing this a lot more than I thought. I've been sick on and off the last few weeks and have been using even paler than usual. This is adding a lot of colour and brightness back into my sallow cheeks. It has some shimmer and a lot of peachy colour and is perfect for a lot of looks.